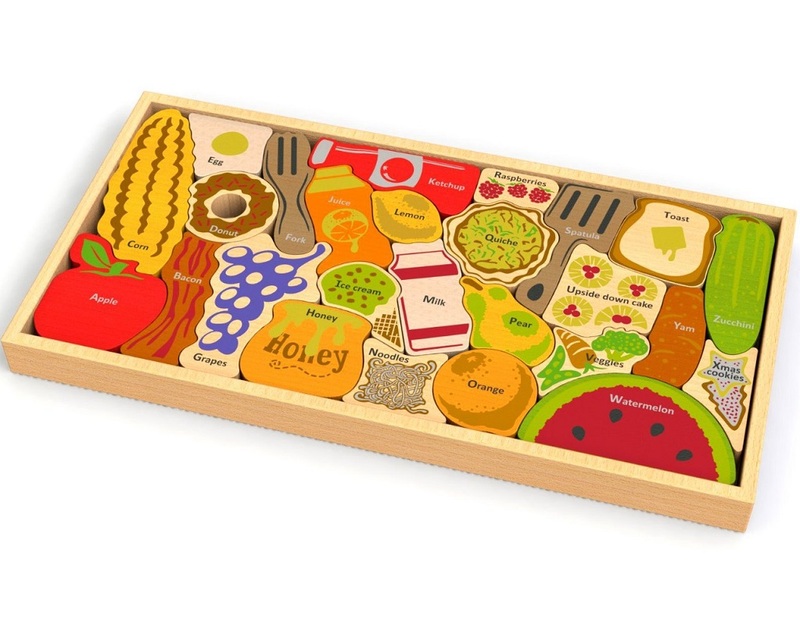 Approximate Dimensions: 10" x 16" x 1"
The Alphabites A to Z wooden puzzle serves up learning and role-play fun. 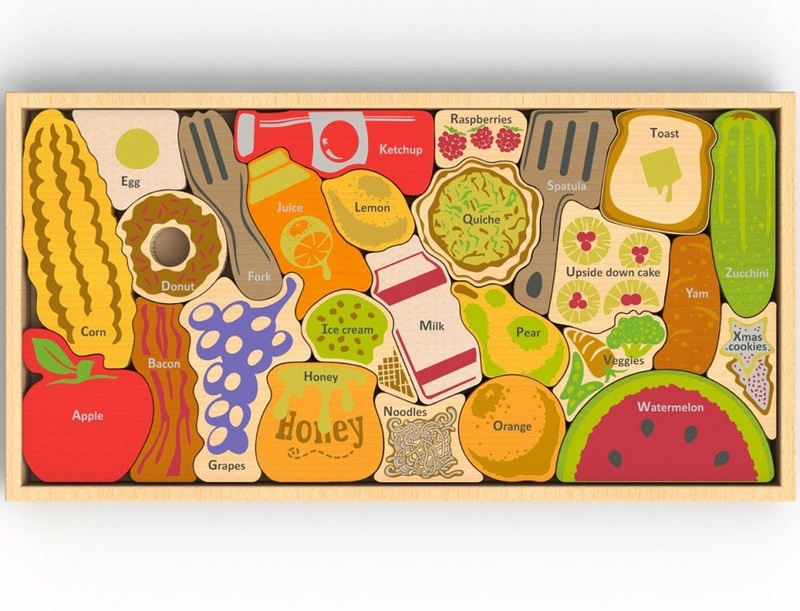 Each of the 26 puzzle pieces is a food, condiment or cooking tool, and each is labeled with its full name. 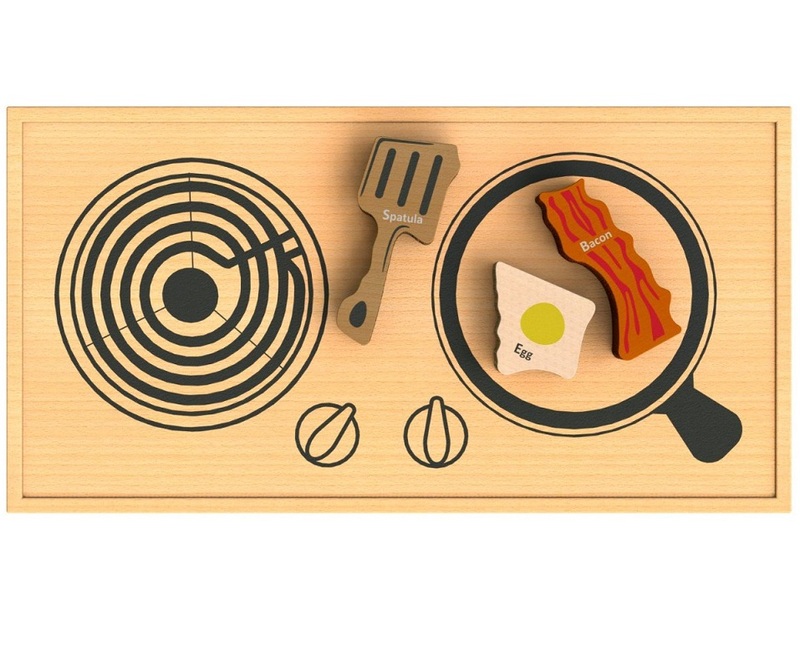 The 10"x16" wood storage tray does double duty with an illustrated serving tray on one side and a stove top on the other. 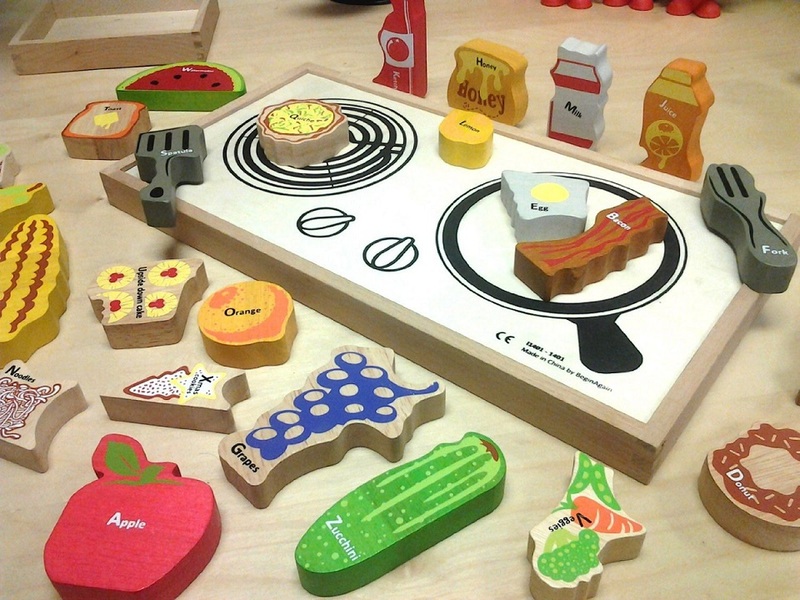 From "A is for Apple" to "Z is for Zucchini," kids can play with their food and learn letters too! Alphabites A to Z is recommended for ages 3+.